From Gucci's Dive collection, this Swiss Made timepiece exudes style and functionality. Featuring an oversized stainless steel case, red rubber strap, matte black dial, classic red detailing, date aperture and tachymeter bezel, this durable watch is ready for adventure. 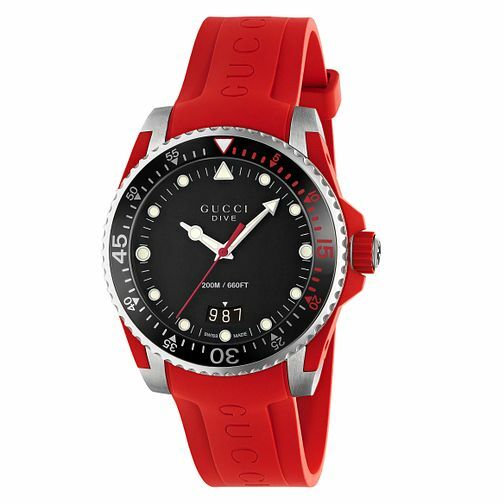 Gucci Dive Men's Red Rubber Strap Watch is rated 5.0 out of 5 by 1.